The lion depicted is the “Kurpfälzer Löwe”, which makes up Heidelberg’s coat of arms. Valessio is Brazilian, graduated in Communication and Advertising, and specialised in Free Software Development. He is currently a consultant to UI Design of the Secretariat-General of the Presidency of the Republic, living in Brasilia, Brazil. He has been a Debian user since 2000, contributing to local communities, Inkscape and the Debian project. Valessio has a tattoo of the red spiral! His personal website is valessiobrito.com.br (pt_BR). He invites you to visit www.DebianArt.org to discover the work of other artists and designs that contribute to the Debian project. Thanks very much Valessio for your great contribution! 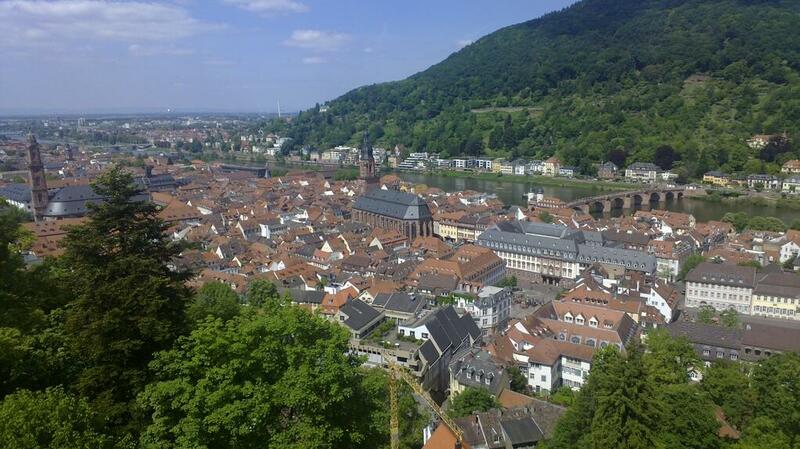 The DC15 team met Saturday at the Heidelberg International Youth Hostel to kick off the organisation of DebConf15. While a handful of team members unfortunately had to excuse themselves, 18 people showed up, and the spirit level was high. 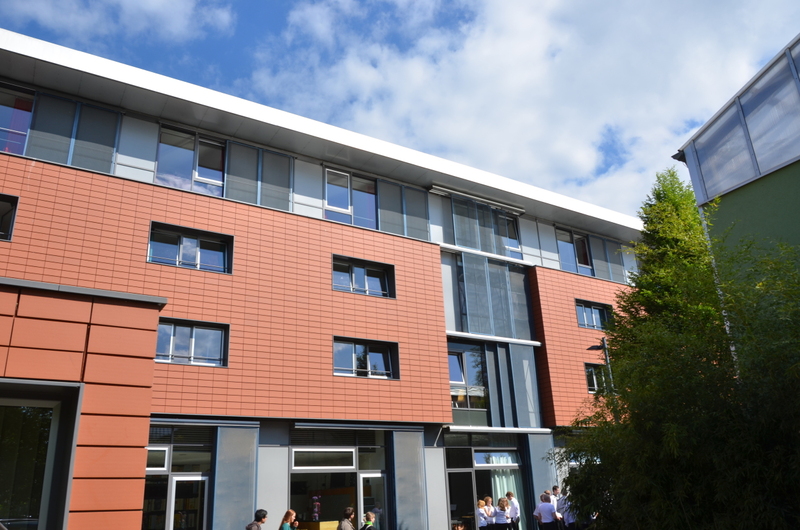 The youth hostel is the expected venue for DebConf15, which is slated to take place in August 2015. It sleeps more than 400 people, and it features two large conference rooms. Several smaller rooms can be used for team meetings and impromptu “birds-of-a-feather” sessions. 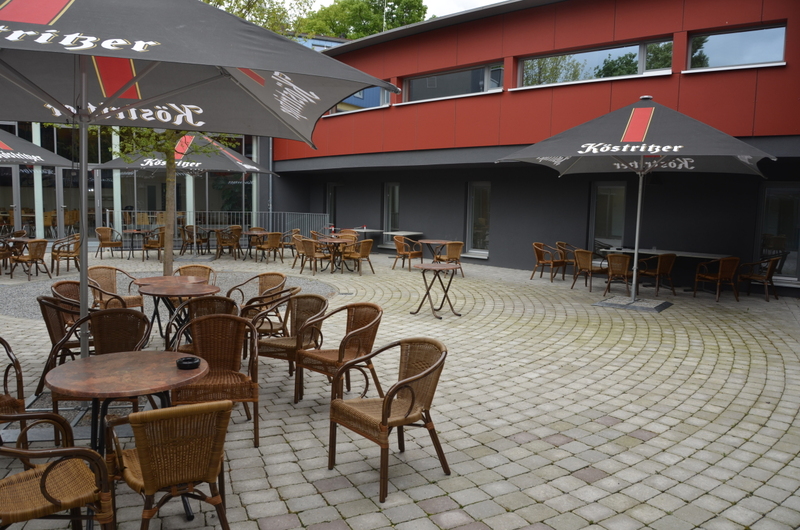 The venue is located a little bit outside of Heidelberg’s centre, right on the side of the Neckar river, north of the Heidelberg Zoo, west of a university campus, and south of a sports field. 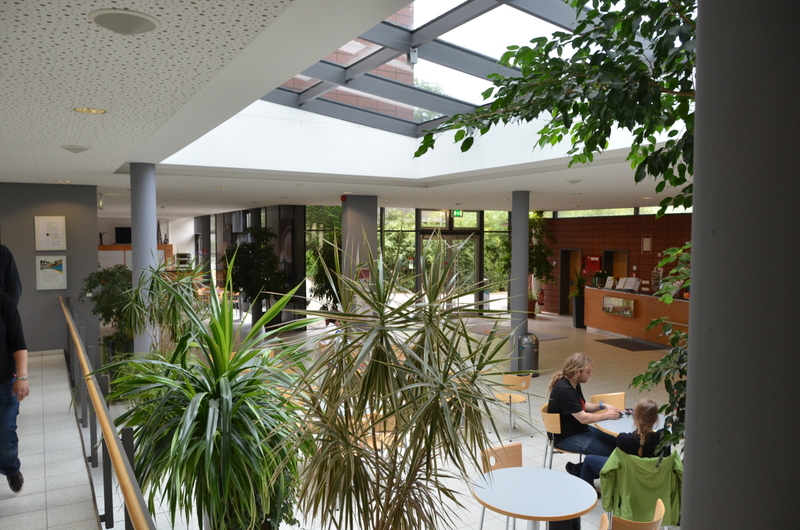 The large cafeteria and the plentiful outside space usable for eating, working, chatting and playing make it a fantastic venue for DebConf. And far away from traffic, with a play area, space to run around, and the zoo next door, it’s very suitable to families with children, too. If you are interested in being part of the organisation of our conference, we welcome you on our mailing list and look forward to your contributions! There is also the #debconf15-germany IRC channel on irc.debian.org, and we have a list of DC15 sub-teams to give you an overview. Feel free to add yourself, or just help out and someone will add you. In their last meeting, the DebConf committee decided that DebConf15, the 16th annual Debian Conference, will be hosted in Germany. Thanks to the Belgian and Swedish teams; we are looking forward to their renewed bids for future DebConfs! The German team expects to announce details about location and date in the coming months. A dedicated (English-language) mailing list has been created for the organization and interested people are welcome to subscribe and join the discussion. Furthermore, the 32-page final report for last year’s DebConf in Vaumarcus, Switzerland, is now available here. Many thanks to all the authors who contributed to the report!